When you are on a busy schedule I love Wordless post…Today is an exception as I am introducing a theme. 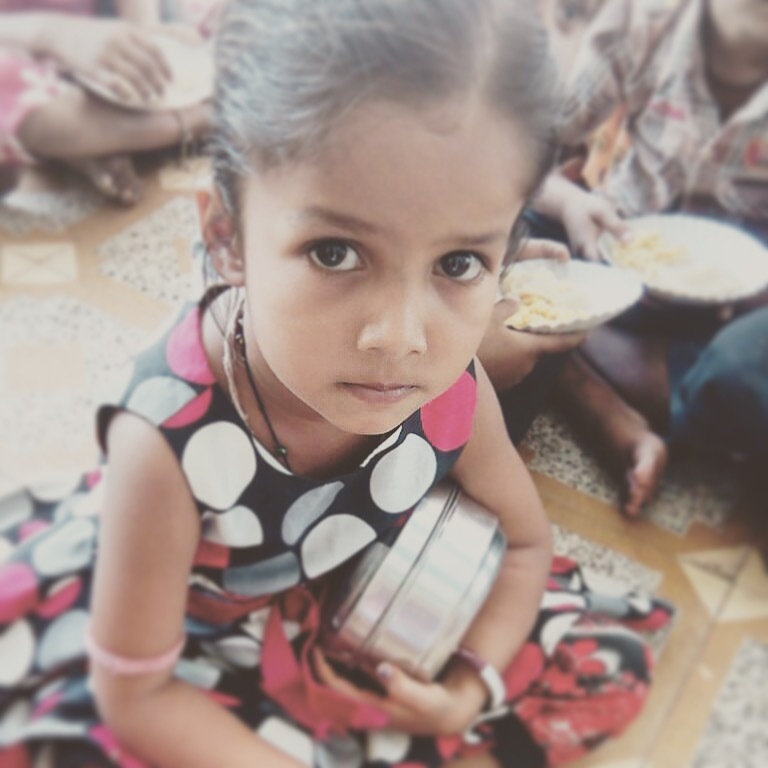 Every Wednesday we will share individual photos of children in Aanganwadi. Here is our first image. She reminds me of my childhood lunch box, I used to have exact same lunch box as the one she’s holding! This entry was posted in Wordless Wednesday and tagged Aagnawadi, Childhood, Monday meal, Tiffin Dabba, Wordless Wednesday. Bookmark the permalink.